The origin of this typeface is a Polish catalog cover dated 1936, made by I. Rubin. 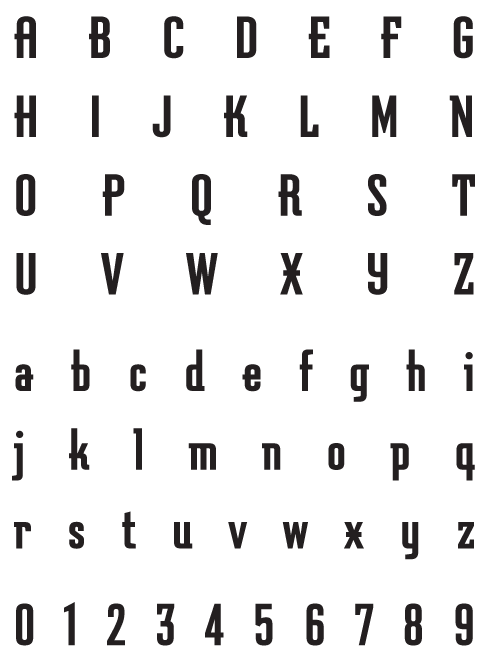 The word ”Graﬁcz” (included in the poster copy) seemed appropriate as a name for this typeface with its typical ”Central European look”. 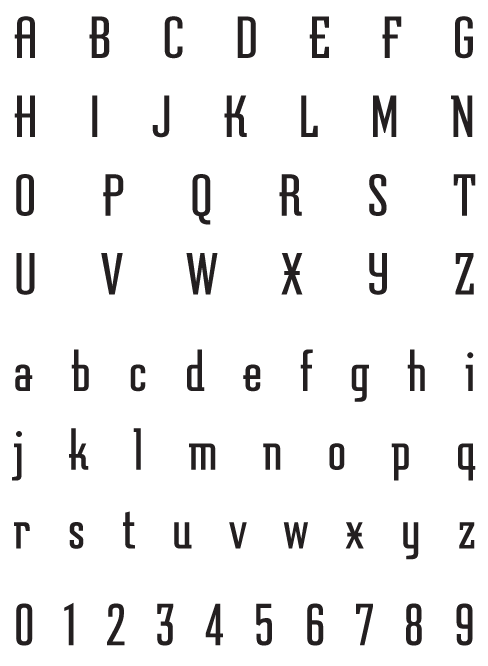 The original letters are more ”thin” (light weight) than the MRF interpretation and only consists of capital letters. 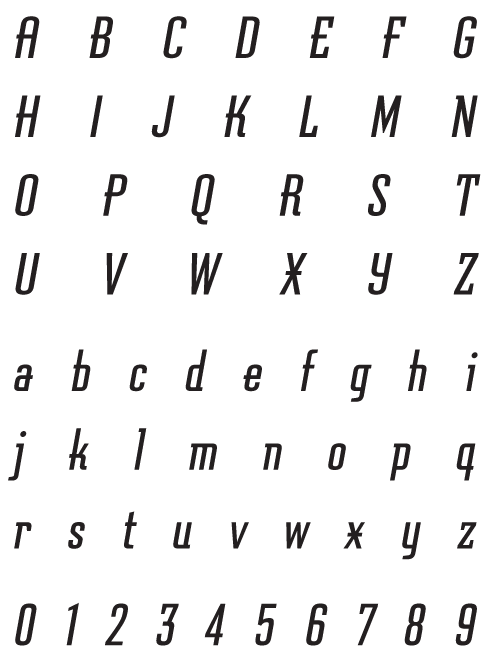 Lower cases and almost all standard character signs have been added, in order to make it more functional. 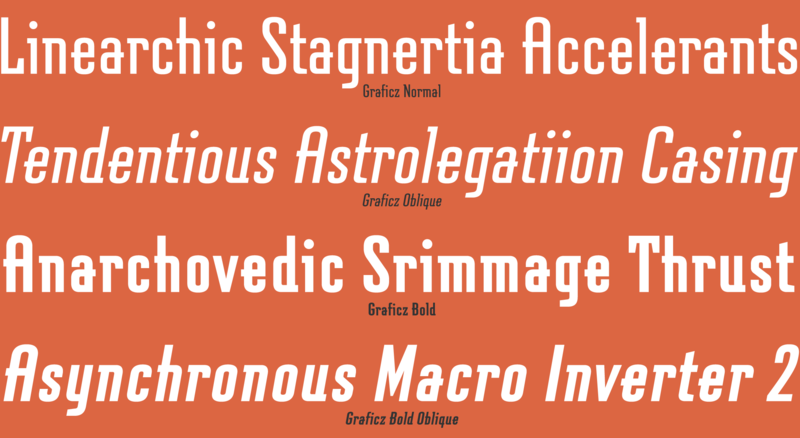 The Graficz fonts include: Western and Eastern European characters, Stylistic Alternates, ligatures, and more.